out of the path of an oncoming cable car in the nick of time. The entire incident is captured by a newspaper photographer who splashes Sam’s heroics all over the front page. Sam is troubled not only by his new status as a city hero, but by the rescued woman’s plea for help. She whispers to Sam that she didn’t fall from the cable car but was pushed. She is frightened and disappears into the crowd before Sam can get more details. A San Francisco newspaper launches a campaign to find the mystery woman and Sam hopes to cross paths with her again. 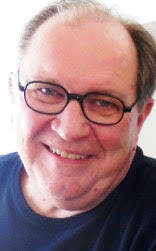 I enjoy gardening and love to run outside in Edmonds, Washington, in the Seattle area on the Puget Sound. I love movies and try to see one or two a week. My writing experience had been as a newspaperman for many years. Reporting the news is a different style than novel writing but is very transferrable. I’ve always love mysteries or books about people falling in love. One day I wondered if I could really make up a fictional world with make-believe characters. I began writing my first novel and just kept on going. I learn so much with each novel that I write. I think my writing gets better with each book and I learn so much with each new novel. If someone asks me which of my books they should read I always tell them to start with one of the later ones because I think they are the best. I’m pretty proud of my last three or four novels in particular. I had the chance to sign books at the Los Angeles Festival of Books on the UCLA campus several years ago. My book was very well received and there were several superstar writers and celebrities there. That experience cemented my feelings that I really wanted to be an author. I love two write my next book sitting in a beach house in Carmel, California. I’m saying this sincerely, I’m not just trying to score points—but I enjoy the company of my new wife and would love to have more time with her. I’ve written one book that was partially set in Seattle. My current residence—Seattle—is a wonderful setting. There are great atmospherics with the gray, rainy weather and lots of water. It’s a great place. Back to your present book, Cable Car Mystery, how did you publish it? It is self published. I have a publishing consultant who assists me. He has a team that does the design, the covers, editing and typesetting. I grew up in the San Francisco Bay Area and am very familiar with San Francisco. I lived there in the time period of the book even though I was just a child. However, during the writing of the Sam Slater series I have visited the city several times. I have scouted out areas to be used as settings in the book. In some cases I was refreshing my knowledge of locales and history in San Francisco. 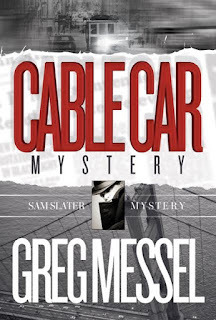 Why was writing Cable Car Mystery so important to you? I have more stories to tell in the series and other adventures for my well established characters. I get good ideas while I’m exercising. If I wake up prematurely, I lie in bed writing my book in my head. I get good ideas but sometimes I can’t make it stop. 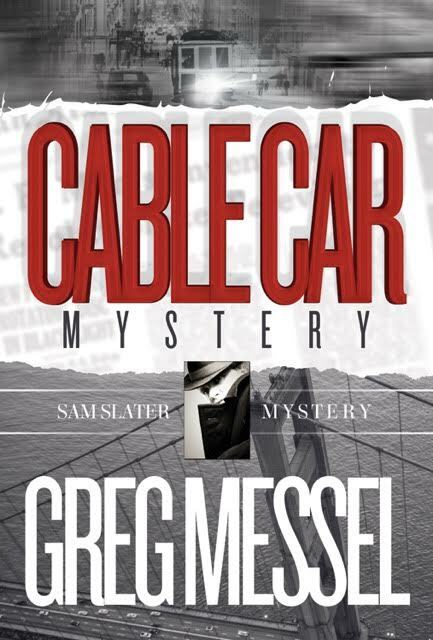 I hope readers who love good mysteries will try Cable Car Mystery and the other books in the series. Each book is stand alone so jump in anywhere. I’d recommend my current book or book four “Fog City Strangler” as a good jumping on point.